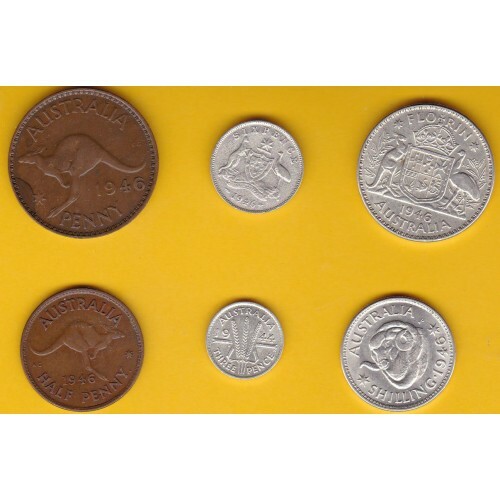 This set comprises the 6 Australian coins in selected circulated condition dated 1946 (except for the 1944 3d as no 1946 minted). A reasonable example of the scarce 1946 penny is included in this set. An ideal gift for a 70th Birthday or Anniversary in 2016.